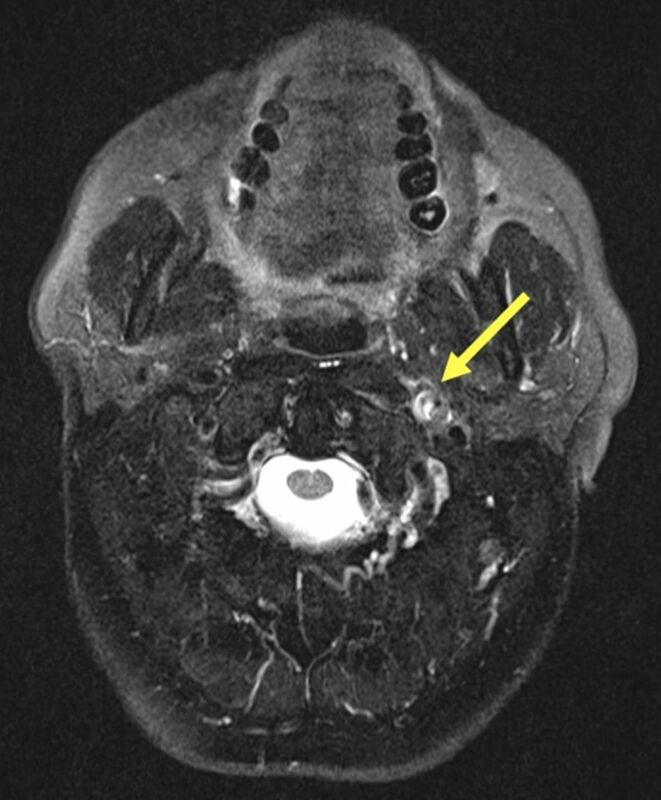 A 55 year old man presented with sudden onset right sided weakness and aphasia. Computed tomography angiogram showed a left internal carotid artery occlusion and thrombus in the proximal left middle cerebral artery. The patient was treated with intravenous thrombolysis. His weakness resolved, and he was left with expressive dysphasia only. 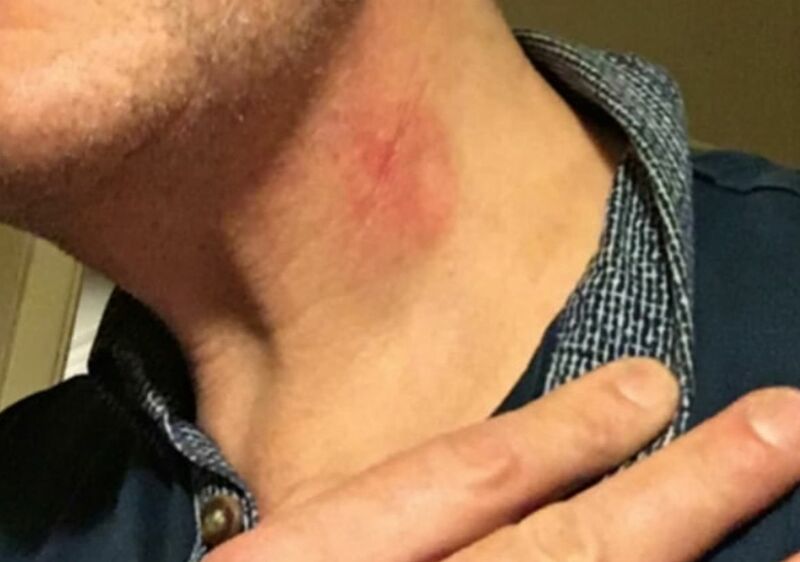 Two days into admission, the patient recalled an injury to the left side of the neck from a squash ball, two weeks before presentation (fig 1). Contrast enhanced magnetic resonance angiography confirmed arterial dissection (fig 2) as the primary pathology, presumed secondary to neck trauma. Carotid artery dissection accounts for 10%-25% of ischaemic strokes in young patients,1 of mean age 44 years.2 Approximately 40% of these dissections are associated with trauma.3 Embolic events to the brain can occur weeks after the dissection. Eliciting a history of trauma enables selection of the most appropriate imaging modality and treatment for the stroke aetiology.